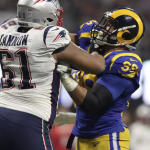 The New England Patriots defeated the Los Angeles Rams by a score of 13-3 to win Super Bowl LIII. The moment that the confetti fell, sportsbooks were already thinking about the odds for Super Bowl 54. The four teams with the best odds to win Super Bowl 54 were the final four teams this season, and they all look loaded again. Let’s take a closer look at the opening betting odds to win Super Bowl 54. Kansas City Chiefs +600: The Kansas City Chiefs have opened up as a 6/1 favorite to win Super Bowl 54 next season. 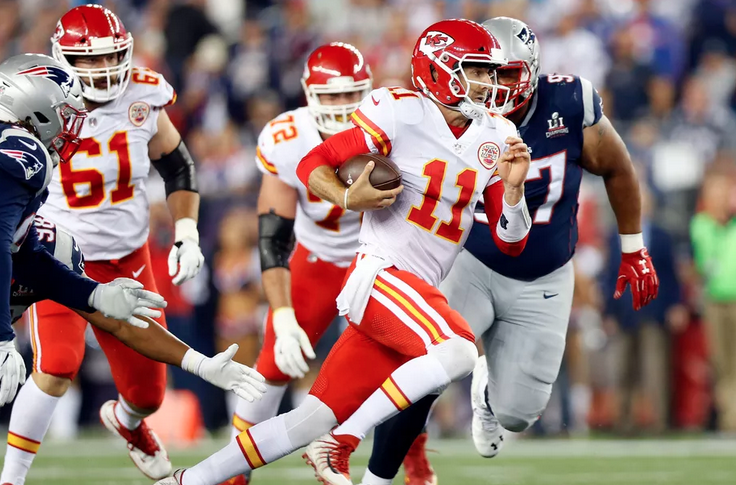 The Chiefs looked like the best team in the National Football League for much of the season but came up just short in the AFC Championship Game against the Patriots. With quarterback Patrick Mahomes leading an explosive offense, the Chiefs are the betting favorites for a reason next season. Kansas City might need some help on defense if they want to take the next step. Los Angeles Rams +800: The Los Angeles Rams’ offense got shut down in the Super Bowl, but they will still be absolutely loaded next season. Los Angeles has shown the ability and willingness to spend big money in the offseason, and the Rams should be even better next season. Don’t be surprised if the Rams are the NFC representatives in the Super Bowl again next season. New England Patriots +800: It comes as no surprise to see the New England Patriots near the top of this list. The Patriots are one of the best franchises in professional sports, and they get the job done every year. There will likely be a ton of turnover on the Patriots roster, but they always have a shot if Tom Brady is their quarterback. New Orleans Saints +800: The Saints were one blown pass interference call away from making it to Super Bowl 53, but this felt like their best chance. New Orleans was an offensive juggernaut all season long, but quarterback Drew Brees will be one year older next season. The Saints will certainly factor into the mix, but they missed out on a great opportunity in Super Bowl 53. Los Angeles Chargers +1400: Quarterback Philip Rivers is still looking for his first Super Bowl ring and time is running out. The Chargers have a pair of awesome running backs in Melvin Gordon and Austin Ekeler, and they can score points. If Los Angeles can figure out their defense, they can contend next season. 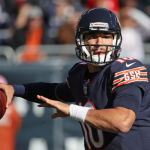 Chicago Bears +1400: Defense is the main reason that the Bears can contend for a Super Bowl title next season. The Bears were absolutely dominant in 2018, and they will bring much of the same roster back. If quarterback Mitchell Trubisky can take the next step, the Bears could become the class of the NFC. Pittsburgh Steelers +1400: There was plenty of drama surrounding the Pittsburgh Steelers in 2018, and they will have to get that solved before the new season begins. Pittsburgh has plenty of offensive weapons, and they play in a division that they should be able to control. The Steelers will make a return to the playoffs in 2019, but they have plenty of flaws. Minnesota Vikings +1600: The Vikings paid quarterback Kirk Cousins a ton of money before the 2018 season, and all that got them was a spot on the couch in the playoffs. A lot went wrong for Minnesota this season, but they still have a talented roster that can make a playoff run. The Vikings will have to find a way to score points against the Bears after their rival dominated them twice in 2018. Green Bay Packers +1600: Green Bay hopes that new head coach Matt LaFleur can find a way to get Aaron Rodgers and the Packers offense to take the next step. Rodgers is still one of the best quarterbacks in the NFL but hasn’t been himself in recent seasons. Green Bay should be good, but they are likely the third best team in their division. There are some division champions including in this group, but all of these teams appear to have some flaws. The Indianapolis Colts seem like the best team out of this group, but the health of Andrew Luck is always a big question. The Cleveland Browns appear to still be a few years from competing for a championship, but there is plenty of hype surrounding Baker Mayfield and the young Browns team. Picking someone from this group might be the smartest decision to get some return on your bet. It is certainly possible that someone from this group of teams can win Super Bowl 54, but there isn’t a team that really jumps off the page. The Miami Dolphins have the worst odds at +30000, and they should be one of the worst teams in the NFL next season. Teams always go from worst to first in the NFL, but it would be an absolute shock if these teams made the jump.